I scream. You scream. We all scream for ice cream. Found Type Tuesday never tasted so good! 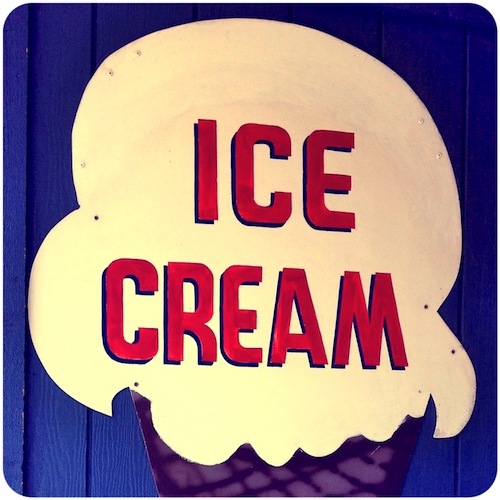 Treat yourself to a scoop the next time you're out on the prowl for beautiful examples of type wherever you happen to be. Really nice shot...I love the crispness of the white against that bright blue!